Design of RAID began in March, 2013 and resulted in a completed design by December that year. Construction of the RAID system began in August, 2014. 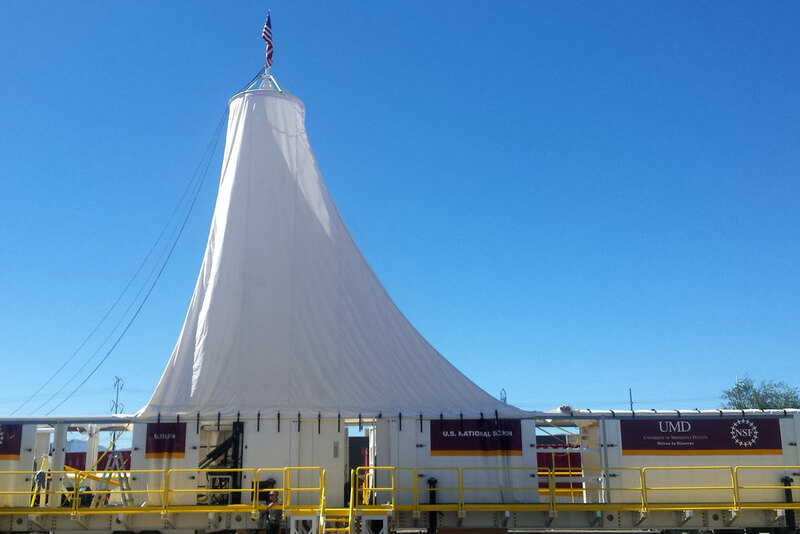 Our first integrated field tests of the drill and fluid recirculation system were completed in early 2015 in the mountains near Bear Lake, Utah. 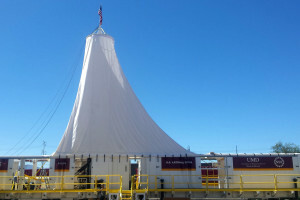 Since then, additional fabrication and testing continued through 2015, capped by integration and validation testing in Salt Lake City from August to November, 2015. In preparation for Antarctic field trials, the drilling system was transported to California for vessel loading and shipment to Antarctica in the 2015-16 austral summer. After off-loading in early 2016 and winterization, the rig was readied for field trials in the 2016-17 austral field season. The first Antarctic field trials (AFT1) were completed in 2016-17, resulting in completion of some key operational goals. Additional field trials (AFT2) were conducted in 2017-18 with successful penetration of firn and placement of a packer seal. Further technical development was done in 2018-19 and another round of field trials (AFT3) are planned for 2019-20.